The concept of slow living has an allure to many, especially for those with an overactive lifestyle. Justine Cook at Harp Cottage has been finely crafting the art of slow and sustainable living for some time and has developed a rather special niche. 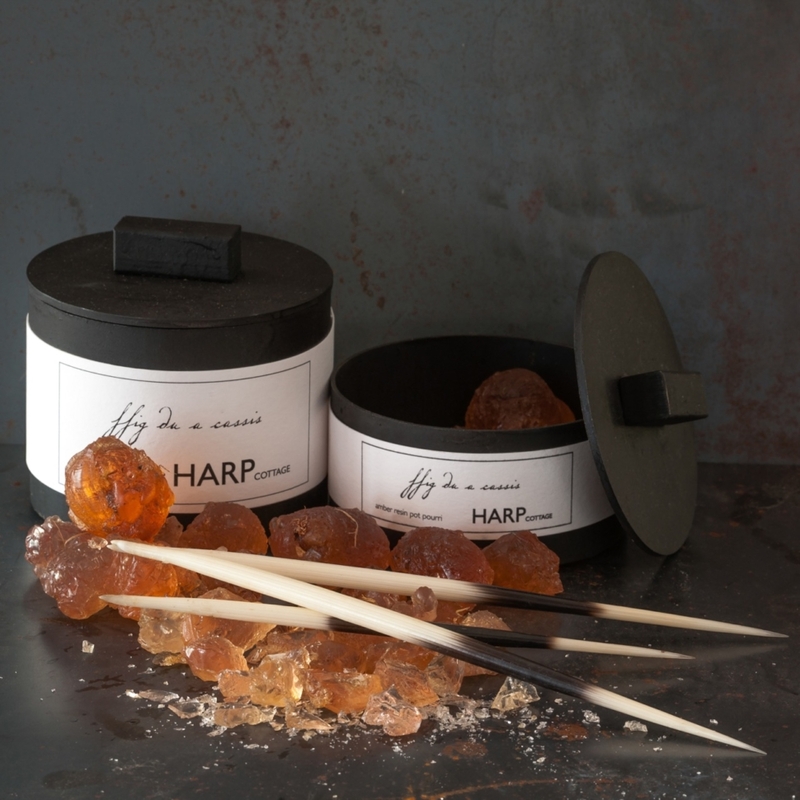 With two properties in her portfolio (and the 3rd launching in Spring 2019) she has also launched Harp Cottage Studio, which includes Ffig du a cassis steel and soy candle, amber potpourri and diffuser amongst other items. 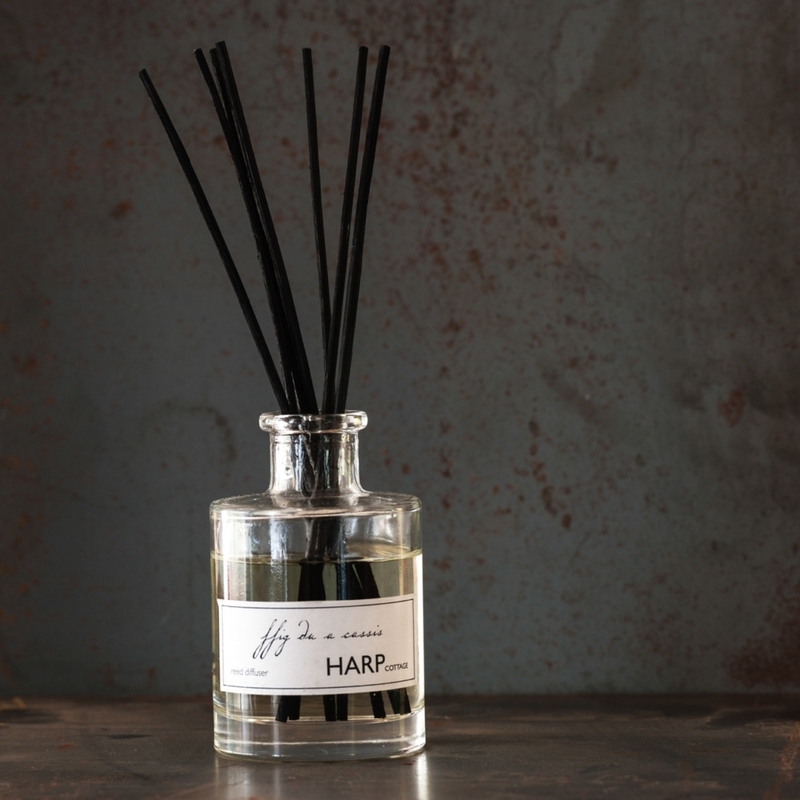 With everything hand-crafted, produced in small batches and numbered by edition, these pieces are a wonderful personal gift or a special treat for yourself, whilst supporting independent business. The fragrance Ffig du a cassis is a blend of the two holiday cottages, one from the Welsh Borders, Harp Cottage, and the other in Central France, Les Coteaux. Whilst the blackcurrants to make cassis are grown in Wales (and have been for many years) the Figs grow in the garden of her home in France. 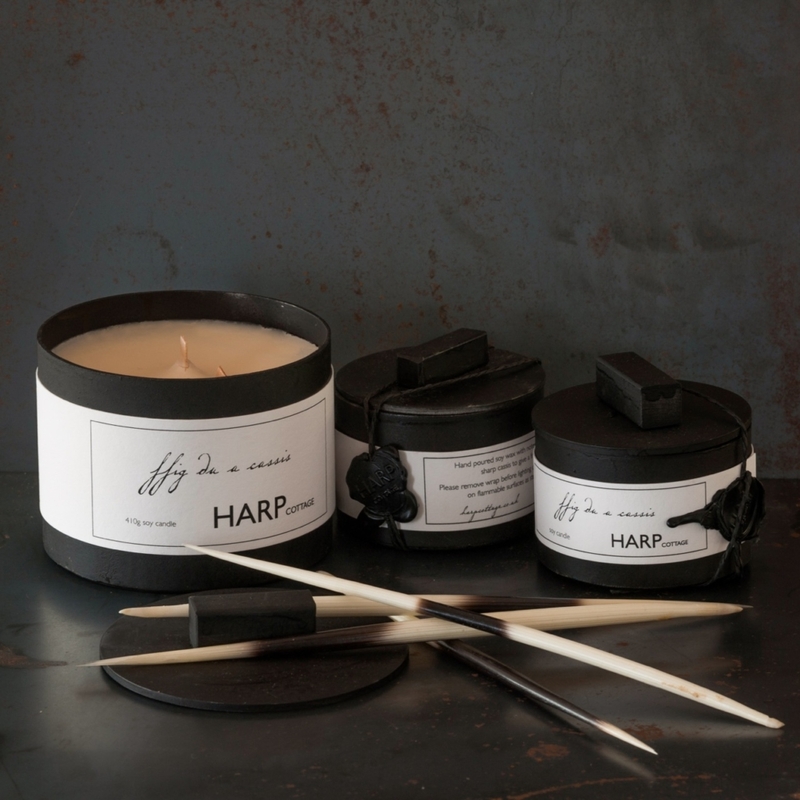 “The whole ethos behind the range of goods we create at Harp Cottage Studio is to have integrity at the heart of everything,” says Justin, “To have the black steel containers made by a local family firm founded in 1850s and then hand poured with sustainable soy wax with wooden wicks in a personal fragrance by another local company that works with adults with learning difficulties is central to how we want to create our range of homewares.” Exclusive homewares will also be offered to independent retailers as a commitment to supporting small businesses. 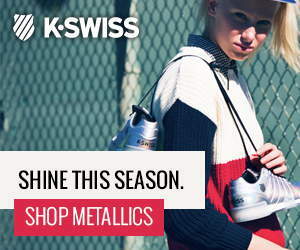 Each stockist will have exclusivity in their area.